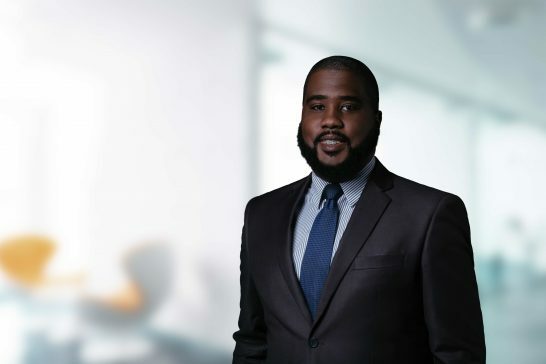 Home > Attorneys > Keith Major, Jr.
Keith Major, Jr. is an associate in the Firm’s Litigation Practice Group where his practice includes matters relating to aviation, asset recovery and general civil litigation. Keith studied law both in The Bahamas and in the United States – first earning an Associates of Arts degree in Law and Criminal Justice from the College of The Bahamas in 2009, and later obtaining a Bachelor of Laws with Honours from the University of the West Indies in 2012. He subsequently obtained his Legal Education Certificate at the Eugene Dupuch Law School in 2014. In 2017, Keith commenced pursuit of his LL.M. at DePaul University in Chicago, Illinois. While enrolled at DePaul, Keith was competitively selected as a volunteer by DePaul to participate in the South Texas Pro Bono Asylum Representation Project (ProBAR), an American Bar Association-sponsored project. In May 2018, Keith became the first Bahamian to obtain an LL.M. in International Aviation Law, completing his program requirements with straight A’s and the top score among his cohorts in both Private and Public International Aviation Law. Keith has recently authored commentaries on aviation law topics including: drones, ‘hacking’ and air accident investigations in The Bahamas. In November 2018, a paper authored by Keith was published in Issues in Aviation Law & Policy, a scholarly law journal published by DePaul University. Keith’s paper analyzed and assessed the changes brought about by the Bahamas’ Civil Aviation Act, 2016. Keith was called to the Bahamas Bar in 2014 and the Jamaica Bar in 2017. He has worked in boutique law firms both, completing his pupillage and gaining experience in a variety of practice areas and became an Associate of the firm in 2019. Selected as Volunteer representing DePaul University at the South Texas Pro Bono Asylum Representation Project (ProBAR) an American Bar Association-sponsored project.